Authority: UAC has the authority to audit or investigate all areas of the University, including its direct support organizations, auxiliary facilities and services, faculty practice plan corporations, and other component units. Audits, reviews, and investigations shall not be restricted or limited by management, the President, or the Board of Trustees. UAC has unrestricted and timely access to records, data, personnel, and physical property relevant to performing audits, reviews, investigations, and consulting services. Purpose: UAC shall provide internal audits and reviews, management consulting and advisory services, investigations of fraud and abuse, follow-up of audit recommendations, evaluation of the processes of risk management and governance, and coordination with external auditors. Mission: The mission of UAC is to serve the University by recommending actions to assist them in achieving its strategic and operational objectives and to support and promote a culture of ethics, compliance, risk mitigation, and accountability. This assistance includes providing recommendations to management of activities designed and implemented by management to strengthen internal controls, reduce risk to and waste of resources, and improve operations to enhance the performance and reputation of the University. To provide for the independence of UAC, the Chief Audit Executive and Chief Compliance Officer reports functionally to the Audit and Compliance Committee of the Board of Trustees and administratively to the President. This reporting structure promotes independence and permits UAC to perform their related responsibilities and activities free from influence. 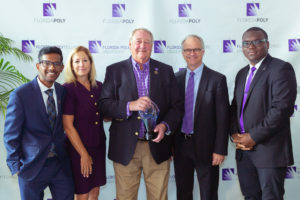 Florida Polytechnic University is committed to the highest standards of ethical behavior. As an institution of higher education, the University seeks to advance its mission and core values with integrity and a strong commitment to complying with its legal, regulatory and ethical responsibilities. Therefore, the University has established a Compliance and Ethics Program (Program) in order to provide a framework for the organization and oversight of its compliance activities. The mission of the Program is to support and promote a culture of ethics, compliance, risk mitigation, and accountability. Examples of noncompliance or ethical issues that may be reported using the Compliance Hotline include, but are not limited to, financial mismanagement, misuse of Florida Poly resources, discrimination, harassment, health and safety issues, research misconduct, falsification of information on documents, and information security violations. Reported incidents should include sufficient information in order to be adequately investigated. Incidents of alleged and known noncompliance reported on the mechanisms noted above are directed to UAC and thus will be afforded proper consideration, and investigation where warranted, free from influence. Where applicable, such investigations will conducted pursuant to the “Whistle-blowers Act” as provided for in Section 112.3187(5), Florida Statutes. University Police – Please contact Florida Poly Police if you need immediate emergency assistance or need to report a critical situation involving a threat to life or property. 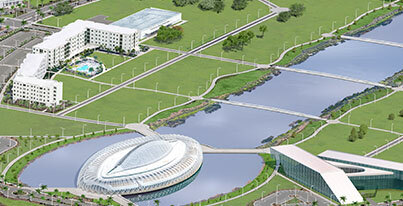 Title IX – The Title IX Coordinator at Florida Polytechnic University receives reports of unlawful sexual discrimination and sexual misconduct affecting the University campus community. Office of the Ombuds – The Ombus Office is a university resource for students, faculty, and staff that assists in the management and resolution of workplace and/or academic issues. The Ombuds Office is a confidential and is an off-the-record option advocating for fair and equitable processes within the institution.